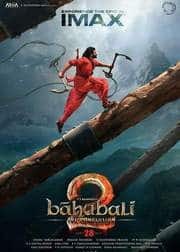 Bahubali 2 - Having taken the nation on tenterhooks with the mystery Why Did Katappa Kill Bahubali with its first instalment, Bahubali 2 or Baahubali: The Conclusion is an Indian epic historical fiction film directed by S. S. Rajamouli that will answer all the questions. It is the continuation of Baahubali: The Beginning. Both parts were jointly produced on a budget of ₹2.5 billion (US$37 million). As of August 2015, 40% of the filming was completed. Shooting for the remaining sequences began on 17 December 2015 in Ramoji Film City, Hyderabad. The director revealed that the second part would be "more emotional and with more grandeur", while speaking at Busan Asian Film Market. The film is scheduled for a worldwide release on 28 April 2017. The project is believed to be the most expensive one ever made in the country and the film is without a doubt the most anticipated movie of modern day cinema. While the first part broke all box office records, Baahubali 2: The Conclusion is also expected to rewrite Box office history. 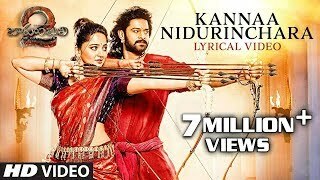 While the earlier instalment of the film had only introduced us to Anushka Shetty as Devasena as Mahendra Bahubali's mother, this one showcases her romantic track with Mahendra Bahubali. With more production value to the sequel, the film is much bigger and grander on celluloid. Laced with breathtaking VFX, Special effects and visuals, Baahubali 2: The Conclusion is unarguably India's biggest cinematic creation to date. SS Rajamouli who already is known as one of India's most prized filmmakers has crafted what could only be termed as a unique and once in a lifetime big screen experience. 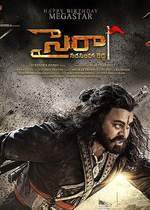 While the film opened to record breaking response all across the country, it also became the first Indian film to be recognized as a pan India movie despite being originally helmed in Telugu followed by Tamil. 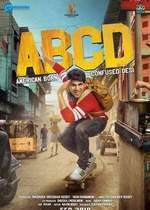 The Hindi version of the film once again distributed by Karan Johar's Dharma Production gave the film a wide release in other parts of the country. 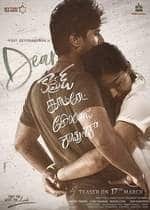 Not only did it unanimously got accepted by the audience, the box office for the first time saw North India catching up close at ticket counters for a South Indian movie. 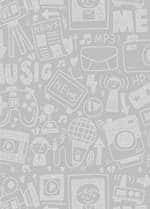 Most online ticketing websites in the country were reported to have been crashed before and on the day of the release owing an overwhelming response. Right from Hyderabad, Chennai, Bangalore, Mumbai to all parts of North India, the film saw an ocean of crowds queuing up in large numbers. 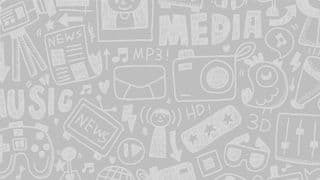 The popular social media trending topic for two years 'Why Katappa Killed Baahubali' remained the most talked about subject online making way for a lot of jokes, memes and fan theories everywhere. The subject helped bigtime in fueling up the excitement which ultimately resulted in the earth shattering opening of the film. The film has also been fabulously received by critics and reviewers from all over the world making it one of the best rated movies in a long time. For the folks who have been chewing on the question why Kattapa killed Baahubali, the arrival of Baahubali 2: The Coclusion shall be no less than a prayer answered. The film pickup seamlessly from where it departed and the seamless beginning is really appreciated. It almost turns the two years of wait to dust and take you back to the grand kingdom of Mahishmati. The first half of the film is dominated by the love story between the lead couple Baahubali and Devasena. There is fairytale appeal to this part that will goes on in a new unexplored town and then the ease is also suddenly broken when, Devasena is approached by Sivagami to marry Bhallaladeva, and she turns it down. The first half drags a little bit but doesn't disappoint. In a quick change of events things turn grim as Bhallaladeva is quickly appointed as the King of Mahishmati in stark contrast to how we saw Baahubali as the King in the first part. Action takes over and the entire scenario turns into an edge of the seat thrill. In the more interesting second half is a whole play of the conflict between the two brothers and then there is interesting insight into the characters of Sivagami and Devasena. And finally laying the demons to rest by answering why Kattapa killed Baahubali. The film sort of becomes more predictable post the revelation. The big question of why was Baahubali killed has been dealt tactfully and does complete justice to the layout the film. 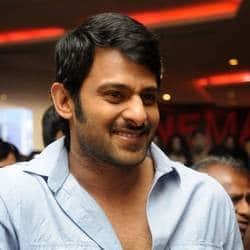 Putting the pieces together, you won't want to barter Prabhas for anyone other man who could have pulled of so many shades of a character seamlessly, valour, romance, vulnerability and confidence. There is not an inch of drop in the quality of the film and hats off to S.S. Rajamouli for keeping the world of Mahishmati as consistent or even more grand that we remembered from the first film. The performances, VFX, consistency and the execution is top class and there can be absolutely no complaints there. It is worth every penny and the long wait that kept us on our toes. The film is beyond a story and involves you into it and makes it a holistic experience and will totally amaze you. Prabhas steals the show yet again and this time very well complemented by Anushka Shetty!